Last year someone asked this question on a website and I decided to answer it for them since so many people are anti-leasing today. I think this is because most people do not take the time to understand how interest rates work on purchasing a vehicle. Since I own a used car dealership, I primarily finance mostly used vehicles for people. Most of my clients pay cash or they borrow against the equity in their cash value life insurance policies and pay back the insurance company using an unstructured loan. This is by far the best way to purchase a vehicle because there isn’t any credit involved and you may payments on your own terms. I explain this in detail at CoolCarsForLife.com if you’re interested in reading about that strategy. You can check out my business model by visiting CoolCarGuy.com and what it is that I do. I figured I would write an article about this topic though since so many people buy vehicles instead of lease vehicles. Recently, I had a client track me down who purchased a used Acura MDX from me 13 years ago. I was 37 years old when she purchased her last vehicle from me and she must have appreciated the experience to track me down again. She was also impressed with the longevity of her Acura MDX that now had close to 180,000 miles on the odometer. She was ready for a new one. This is a woman who keeps her vehicles for a long time and she decided that she wanted a new one. If she had purchased a new one the interest rate was pretty good, but it wasn’t amazing. However, by leasing the vehicle her money factor was .00050, which is the equivalent of about a 1.2% effective interest rate. She also didn’t want a huge payment on a vehicle that had an MSRP of $51,595 and leasing allowed her to only make payments on the depreciation of the vehicle. 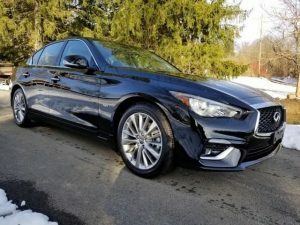 By leasing it using what is commonly called a “closed-end lease” today, she was able to lock in the residual value and purchase the vehicle in the future for around $29,000. Most leasing companies design their leases in such a way that if you go over the miles you purchase they are going to hit you with $.10, $.15, $.20 or $.25 a mile should you turn the vehicle back into the leasing company. There are actually some leasing companies and manufacturers that will hammer you for the miles, even if you don’t turn the vehicle back in, which is crazy. I’ve seen Mercedes-Benz do this and it’s a total “jerk”‘ move because you’re buying the vehicle and they don’t have any assumed risk or additional depreciation that it is costing them. If it’s an “open-end commercial lease”, like on a truck for a construction company, then it makes sense to charge for the depreciation without a guaranteed residual value because they are structuring the lease that way upfront based on future unknowns. 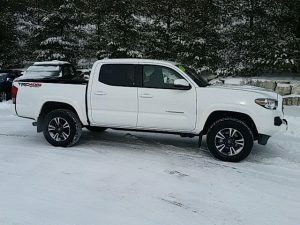 The company might beat the crap out of the truck and it will be worth thousands less at the end of the lease, so the residual may not be locked in or it might be extremely low. You want to make sure you read the lease agreement or know what you’re getting into when you lease a vehicle for sure and most people don’t. When they get burned at the end they are ticked off because they thought that their Mercedes-Benz lease worked like their previous Toyota lease. Typically though, most leasing companies are going to structure their residual so that if you stay within the miles and you give the vehicle back they can sell it at auction and not lose money. They are going to give you the option of buying the vehicle out without nailing you for miles on top of the residual value, which is the right thing to do since you are sharing in the risk on the vehicle with them. Some leasing companies, usually manufacturer’s like BMW for example, will put a really high residual on their car and that can give you a low payment, but they are banking on people going over their mileage, giving the car back and collecting money on tires, wear and tear and the mileage hit before sending it to auction or letting a franchise dealership buy it back. The benefit though is that if you get the right lease and you lock-in the residual value then the miles are not really that important on the right vehicle. 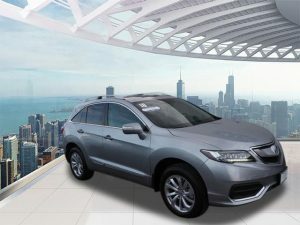 An Acura MDX for example that you can buy for around $29,000 in three years with 12,000 miles a year is going to more than likely retail for more than that amount with 36,000 miles. Which means that if you put on 45,000 miles you can still buy it out at the end of the lease and drive it another six to ten years and you should still be in great shape. You have a lower payment for the first three years and a manageable payment if you choose to finance the remainder for the another three or five years. 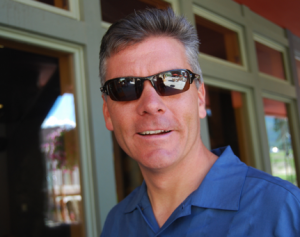 I’ve leased Subaru’s, Honda’s and Toyota’s to people here in Colorado where they will look at the residual after three years and they realize they are in an “equity position” at the end of the lease term. Often times they will call me and just ask me to help them buy their vehicle at the end of the lease. The Toyota Tacoma or 4Runner is a great example of this kind of a strategy and many of the Subaru’s like the Crosstrek. You get to the end of the lease and you realize that if you give it back to the leasing company Toyota or Subaru are going to sell it at auction for a few thousand less than what they are selling for online. Why wouldn’t you just buy it out and sell it yourself or keep it? These are what I refer to as an “equity lease” because you have equity in the vehicle at the end of the lease term. Instead of running around looking for the obscure off-lease, hard to find, overpriced used vehicle you could be driving a new vehicle and financing it over a longer term knowing that you’re going to keep it for 12 or 13 years like my client decided to do. The first few years she is paying very little of the lease payment in interest and most of her payment is going toward depreciation. Some of you may be thinking this is a really bad idea because you are financing the vehicle over a longer term. The reality is the amount of interest she will pay is less for the first three years and she is going to keep the vehicle longer than someone who is buying a vehicle that already has three, four or even five years of driving on it. This is the mistake and the reality that the financial wizards giving people bad advice don’t seem to understand. If you buy a vehicle with 45,000 miles on it and you drive it for five years at 20,000 miles a year your vehicle now has 145,000 miles on it and it’s pretty much worthless. If you finance or lease a new vehicle and you drive it for eight or ten years and it has 160,000 miles on it at 20,000 miles a year, it’s worth about the same as the genius who has 145,000 miles on their used vehicle. The difference is your vehicle had a full warranty and no wear and tear on it to start. In fact, you will probably get 9 or 10 years out of it as the original owner and are much more likely to maintain the vehicle to last. The depreciation on a vehicle once it hits 145,000 miles compared to 180,000 miles is negligible. The fact is that most people have to get out of their vehicles sooner than planned because they are paying too much in monthly payments to maintain them. When a costly repair comes they have to unload them because they can’t afford the repair costs on their used car that they are still making payments on.